COLUMBIA, Mo 10/6/15 (Beat Byte) -- What a difference a year makes. In June 2014, we told you about a fundraiser for Columbia resident Zoe Enderle Wagner, diagnosed with leukemia -- a cancer of white blood cells -- at age 15. Today, Zoe at 16 is rocking the pages of Harper's Bazaar, for nearly 150 years one of the world's top fashion and lifestyle magazines. Harper's brands itself the "style resource for women who are the first to buy the best, from casual to couture." Enderle Wagner is the model for a photo spread published Sept. 30 featuring styles from Alexander Wang, Chanel, Louis Vuitton, Jennifer Fisher, Eddie Borgo, Coach, and others. The idea for the fashion shoot started as a "Make-A-Wish" granted. 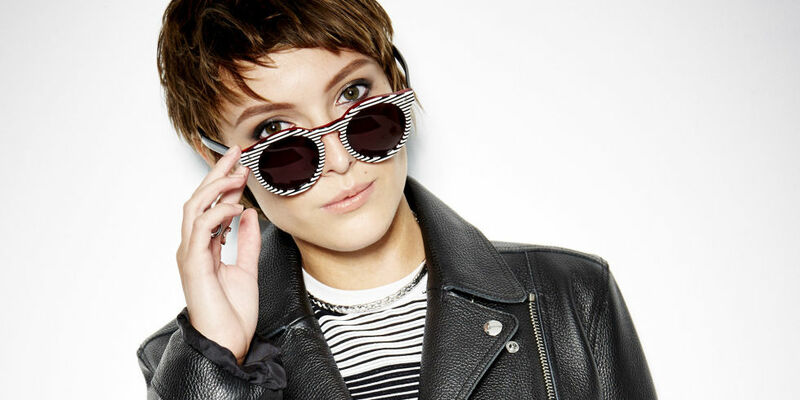 But it's clear from the photos Enderle Wagner is a cool natural, bringing some "moves like Hepburn" -- Audrey Hepburn -- to a fashion industry that for years has emphasized sass over class. Zoe's photogenically chill demeanor jumps off the page. But though she's striking, her look is also strikingly accessible, inviting readers without any over-the-top glitz. In short, if she makes a career in fashion, she'll sell a lot of clothes. Zoe's mother Amy, a professional photographer, brought the bout with leukemia to harrowing life in Facebook updates over several months. Through it all, her family remained upbeat, urging strength, courage, and grace under pressure. That sense of grace may be their ordeal's silver lining. It comes through in these photos. After the shoot, Zoe told her mother, "I think this has been the best day of my life." "Oh the peace those words brought to my soul," Amy Enderle posted beneath the Harper's spread. "In my head, my own silent voice whispered 'best yet, dear one, best YET...'"